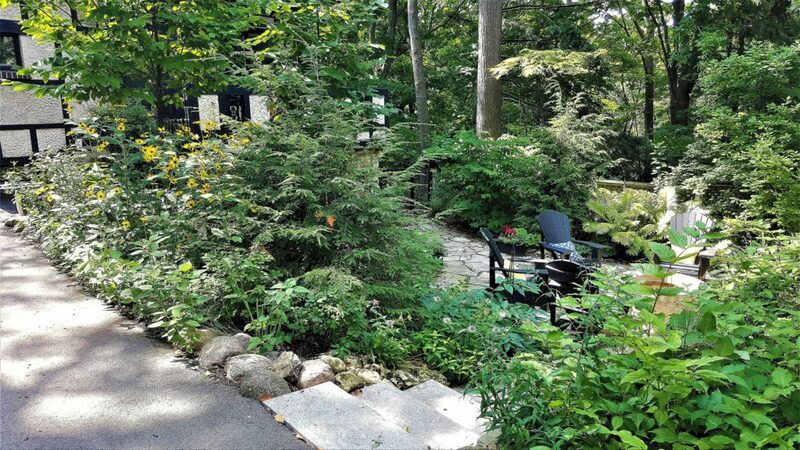 Chine Drive – Urban Forest Associates Inc.
We started work on this Chine Drive property in 2016. 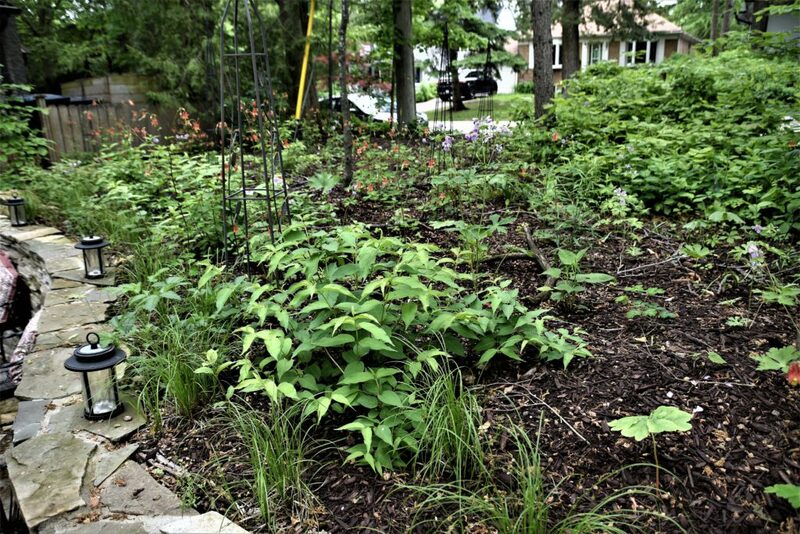 We first cleaned out invasive species in the ravine and terraced the slope to reduce soil erosion and then worked on the front yard. In the front yard, there was a neglected garden with a large dying beech tree, which is still hanging on today. 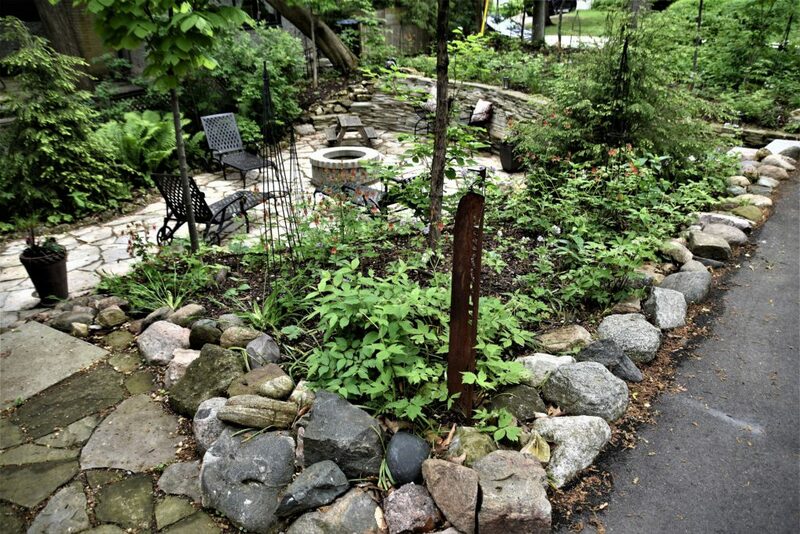 The owner rebuilt the stonework and patio themselves, and we designed and installed a native forest garden. The owner installed temporary irrigation to get the new plants off to a good start. We’re continuing to care for it. Growth and survival have been excellent, with plants filling most of the space within the first 2 years, so weeding is minimal.